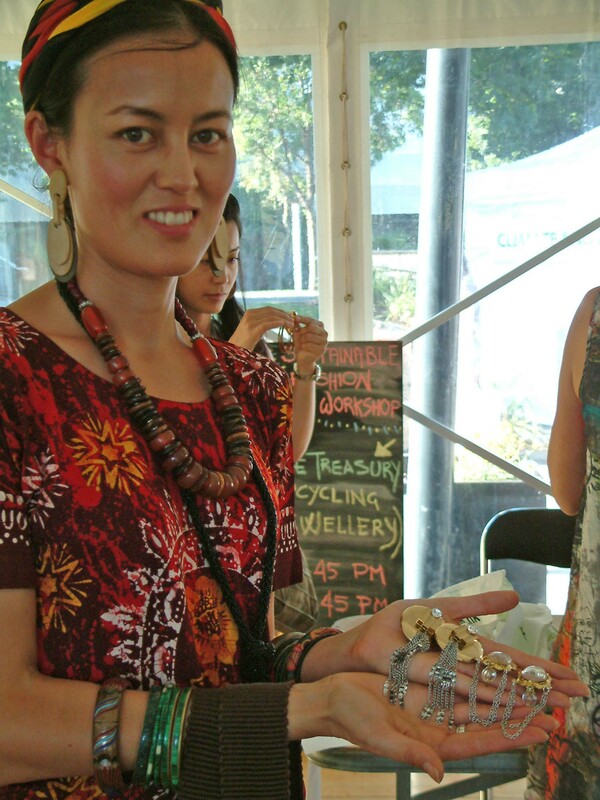 Sustainable Living Festival – what a great weekend! Thank you to all of those involved in making the Sustainable Living Festival such a great weekend! Bracelet made from hoop earrings! 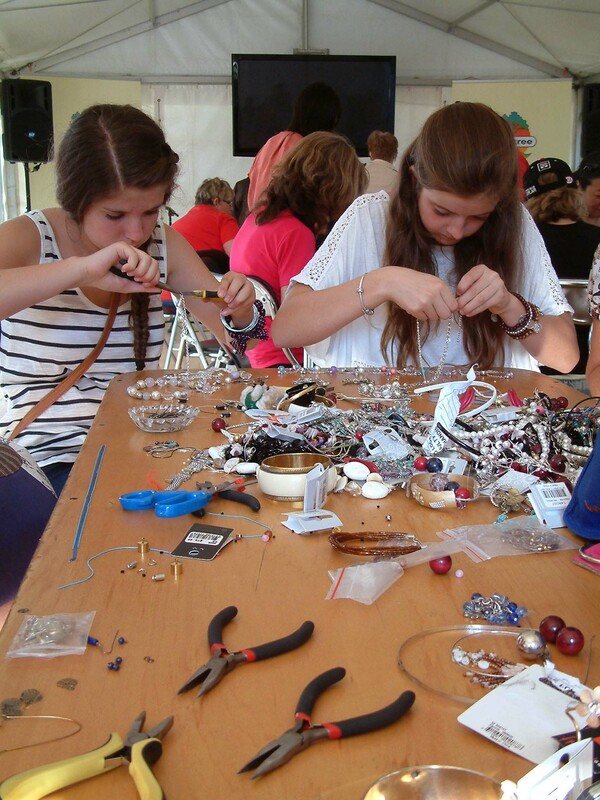 An especially large thank you to the Brotherhood of St Laurence for the broken jewellery they donated to The Treasury, as well as the lovely SLF volunteers who not only donated their old jewellery, but also gave their time and energy. The workshops were packed full of ladies wanting to learn more about how they can be fashionably more sustainable and some gorgeous works of art were made in the process. The Treasury’s monthly workshop is on this Saturday – there are still a couple of spaces left so make a booking here if you’d like to join us. Also of great success was the Fix It! workshops presented in the Shed at SLF on Sunday. The idea behind this venture is that anyone can host a Fix It! event in their community – check out their Face Book page for more details and to get in touch with them about planning and resources. 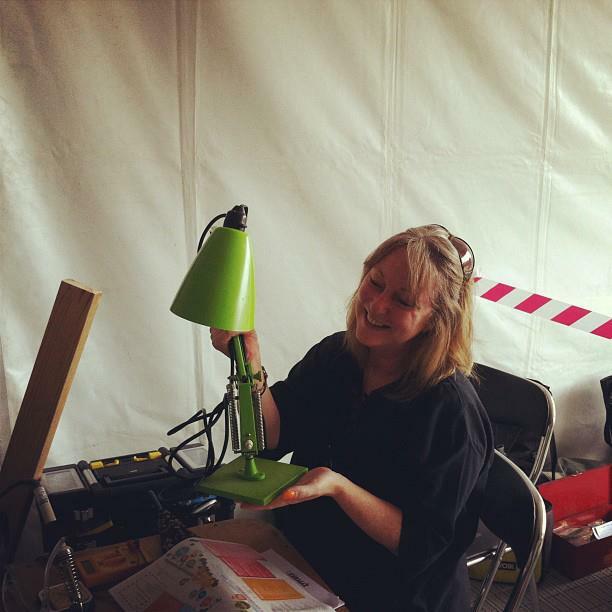 Again I have to mention how wonderful the Brotherhood of St Laurence are for donating a massive pile of broken lamps to work on throughout the day – many people went away with gorgeous new lamps on the day and there’s still left overs for the next Fix It! event. The Treasury will be giving three free workshops at the Sustainable Living Festival this Saturday! We’ll be putting on a taster for those interested in fixing, tweeking or re-imagining their old jewellery. Workshops will be running from 3 to 6pm at ‘Under the Gums’, Birrarung Marr. For more information check out the Sustainable Living Festival guide or email SLF to make a booking. Kicking off this Friday is also the Melbourne Bikefest. As a lover of art and culture, who uses a bike to just generally ‘get around’, I’m pretty excited about the festival program this year. Of particular interest is the Bikefest Bike Runway which will be showcasing local designers and fashionistas alongside their wheels of steel.